When it comes to privacy, what Facebook CEO Mark Zuckerberg says -- and doesn't say -- is surprising. Facebook is constantly embroiled in privacy debates, so you'd think CEO Mark Zuckerberg would be talking about it all the time. But it turns out the word "privacy" rarely passes his lips. In fact, Zuckerberg has said "privacy" and "private" only 68 times in public since 2009. That's according to The Zuckerberg Files, a new digital archive of everything the Facebook (FB) CEO has said publicly. The files include more than 100 text transcripts and almost 50 video files of everything from blog posts and shareholder letters to media interviews and public presentations. It's the passion project of Mike Zimmer, an assistant professor of information studies at the University of Wisconsin-Milwaukee. The primary goal, Zimmer said, is to gain an understanding of Zuckerberg's philosophy on privacy. The way Zuckerberg thinks about information has a direct impact on Facebook's platform -- and its more than a billion users. "Facebook is causing us to rethink so many things about our views on privacy and information," Zimmer said. "Looking at what Zuckerberg says can help us understand Zuckerberg's position and also why Facebook is what it is." The archive is typically reserved for academic research, but Zimmer gave CNNMoney full access to the site's transcripts for this article. What Zuckerberg likes to say -- and doesn't -- is telling. 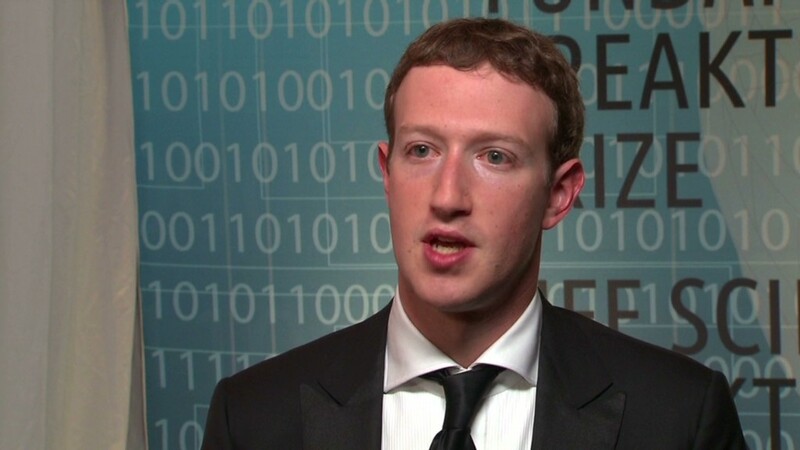 From 2009 through the present, Zuckerberg said the word "open" and its variants only 111 instances. He said "transparency" and "transparent" just 17 times. Instead, Zuckerberg's public statements are clearly more focused on human nature. He uttered the word "people" (and "people's") the most, with nearly 1,400 mentions. He said the word "think" just under 1,300 times, "know" and related words almost 910 times and "want" and related words about 675 times. 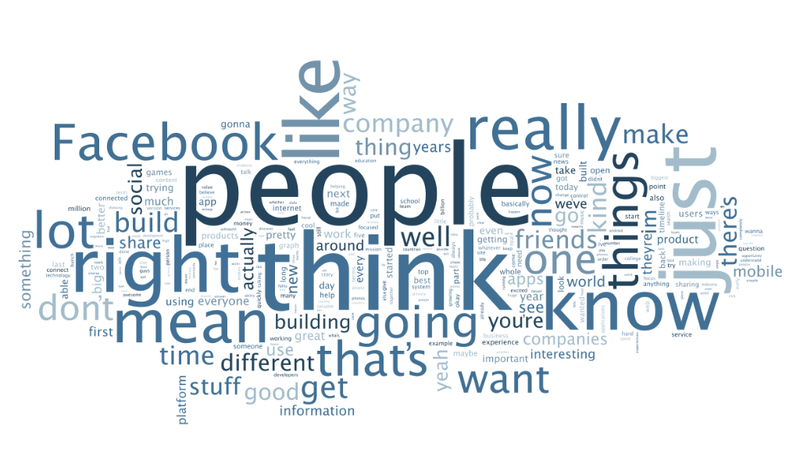 The word "Facebook" itself clocked in below 630, while "friends" and "friendship" came in under 350 mentions. The fact that such a central figure in the privacy debate barely mentions words like transparency, privacy and openness is the reason Zimmer came up with the idea for the archive. He developed the concept after a June 2011 meeting at Facebook's headquarters. "It was the Future of Privacy Forum's advisory board meeting -- a room full of privacy people -- and it seemed that the Facebook employees didn't even use the word 'privacy,'" Zimmer said. "It seemed like there was a memo or something, directing them to say we create transparency. To say, we give people control of their information." The Zuckerberg Files started in earnest the following summer, when Zimmer recruited a handful of student assistants to help him begin building the archive. After more than a year of transcribing interviews, entering information into a database and tracking down videos that had since been taken down, Zimmer and his team finally launched The Zuckerberg Files at the end of October. Zimmer, who is a Facebook user himself, said he plans to keep the archive active and current for as long as possible. He is curious to see how Zuckerberg's thinking on privacy changes and if that ultimately leads to changes in Facebook's platform. "As long as I have a good Internet hookup and a few students willing to work on it, I have no plans to stop this project," Zimmer said. "It's like a living thing now." - Patrick deHahn contributed reporting.